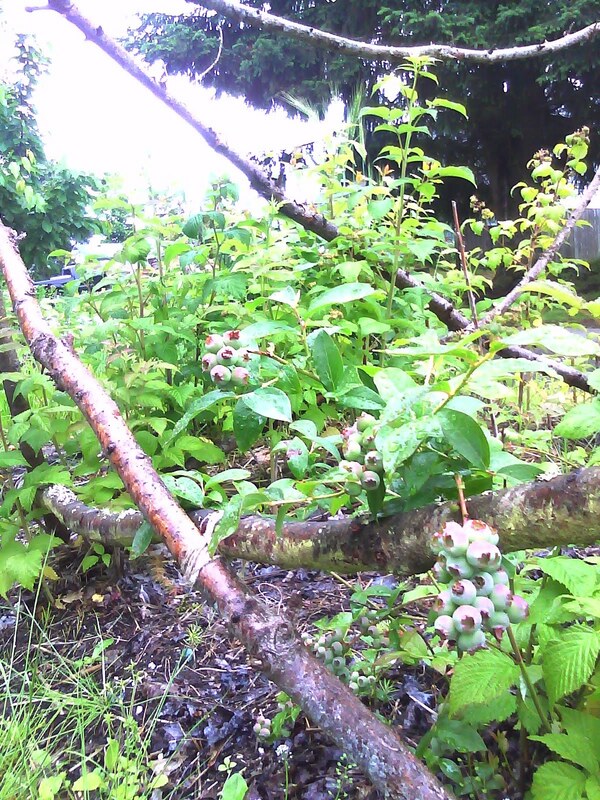 The blueberries we planted on our appropriated island are very happy. 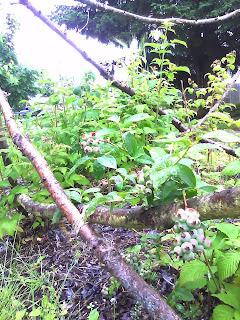 There is a raspberry patch all around it too. The other day we had a neighbor out there picking raspberries and eating them. That's what I'm talking about!! That is the whole reason they are there.